Pokemon/Korra. . Wallpaper and background images in the Avatar: The Legend of Korra club. This Avatar: The Legend of Korra fan art might contain anime, comic kitabu, manga, cartoon, and mkono. You have got to be kidding me, Team Rocket really, what are they a ship now. It's a joke bro, relax. 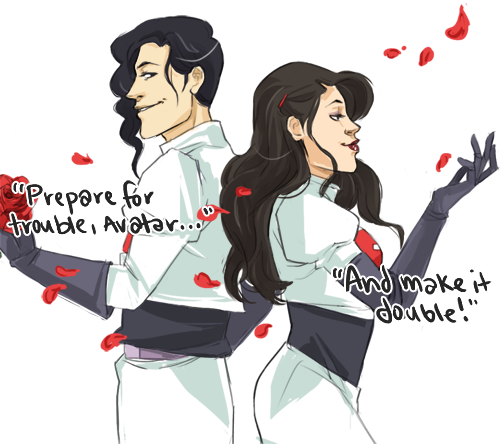 Asami and Tahno dressed as team rocket, no damage done.